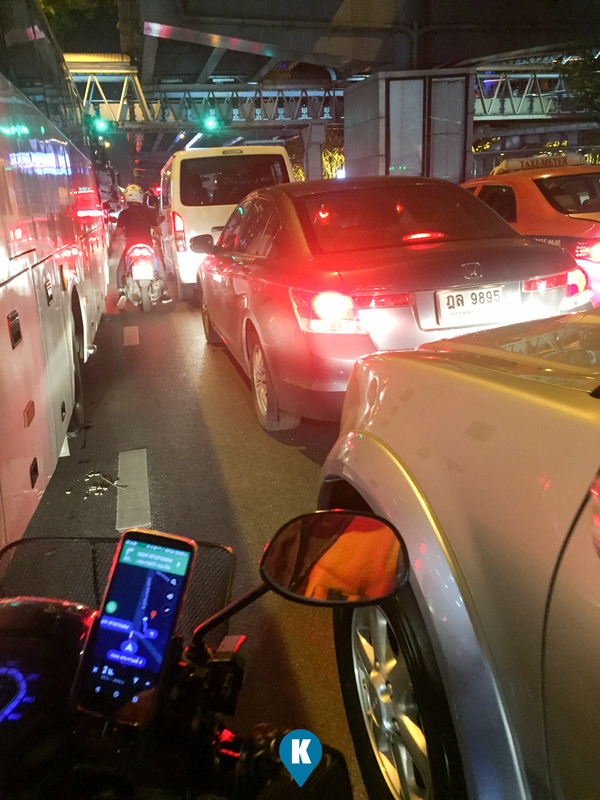 Bangkok is almost similar in traffic situation with Manila. Lots of vehicles on the road during rush hour, means jams are expected when people come in and leave their offices and schools. Habal Habal, or a motorcycle hailing type of transport, now improved by having a mobile app in the form of Angkas (Philippine setting) makes travelling within the metro a breeze. Although this writer has yet to try it in Manila, we tried one in Bangkok. My Grab app downloaded in Manila functions as well in Bangkok. It not only shows Grab Car or Grab Taxi, they have something that isn't available in the Philippines, the Grab Bike. This writer was in Bangkok 4 years back and there was no Grab Bike then, yet I have seen already these motorcycles being used as another mode of transport for the locals here. 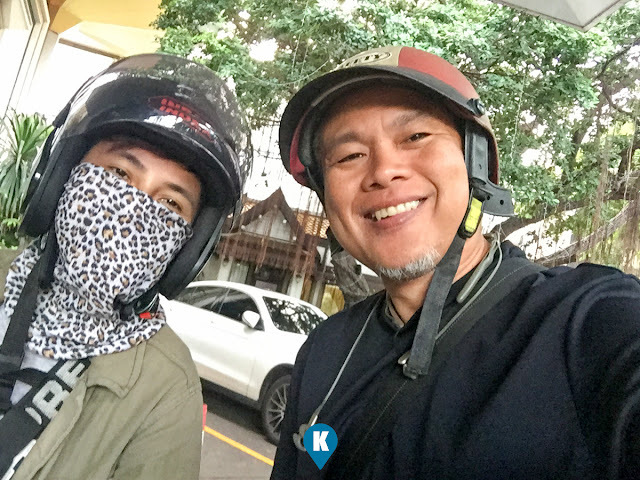 I promised myself I would try it and we did it with Grab Bike. As Grab app goes, its easy to use as long as you have mobile data internet access (see AIS telco). Fire up the app then punch in your destination, it then maps out a route and fare cost. We found this fast and convenient especially when I was literally lost in the bowels of Bangkok. 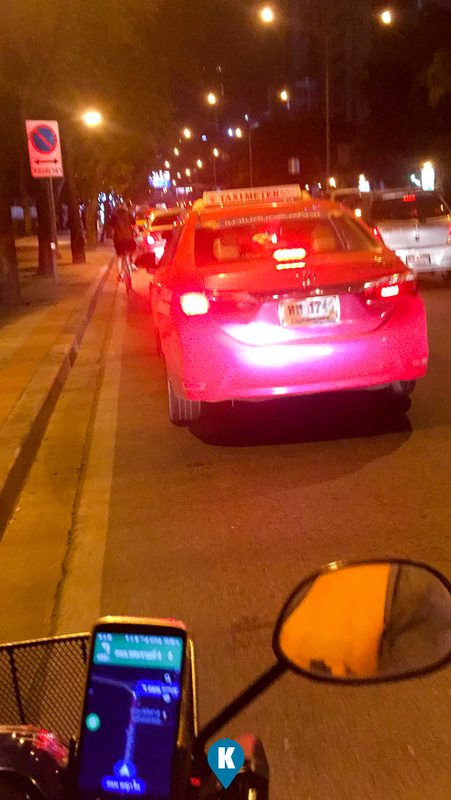 I can't find a Metro or BTS, and with the language problem, I'm hesitant to get a taxi, Grab Taxi came to the rescue. 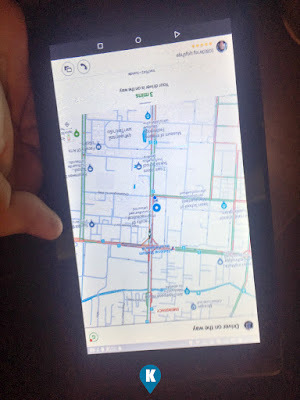 I found out also that is some parts of Bangkok and in certain times of the day, Grab Bike costs 50% less than a Grab Car, 25% less than that of a Grab Taxi. So I tried the Grab Bike. Motorcycle is the best thing when travelling in Bangkok. We zipped through traffic and I was in my hotel in no time. The driver wasn't that reckless as I expected them to be, in fact my ride was smooth and the driver was very courteous. What surprised me more was, they know how to speak English. What a relief it was!!!! My driver even taught me Thai words that would greatly help me during the stay in Bangkok. I learned to say thank you in Thai. Kap Kun Krap (forgive my spelling) means thank you in their language. 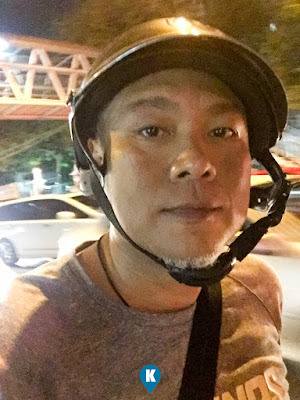 Since then I take Grab Bike more than the Grab Taxi when travelling in Bangkok. I do this when their mass transport system, the BTS or Metro does not pass through the area I'm going. Glad to know Bangkok had this as an alternative and I do hope the Philippines will have Angkas as a regular alternative mode of transport in the Philippines.